I love sweet traditions. 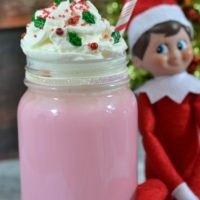 When my boys were younger something as sweet as a delicious cup of white hot chocolate, to drink up, with their Elf on the Shelf would have made their night! 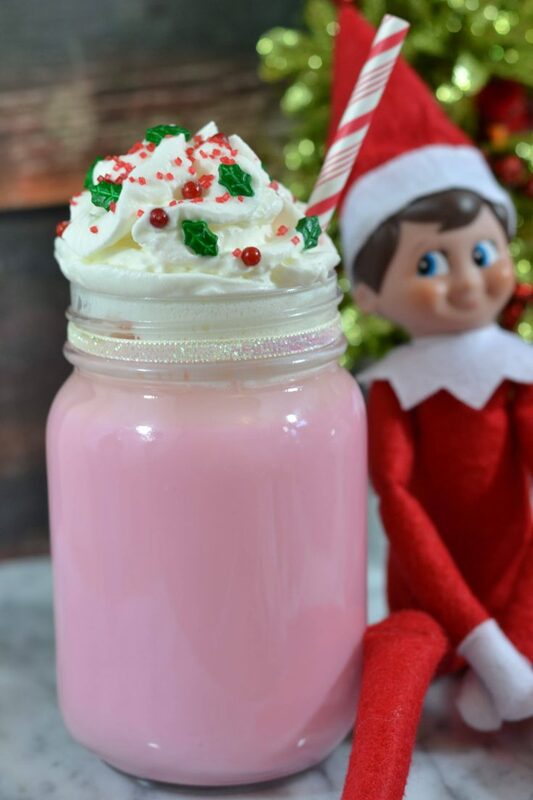 I think this is the perfect tradition to share with your children and their Elf on the Shelf. The red is just a perfect shade of red. Mixed with these beautiful holiday inspired sprinkles and candies. It is just the right touch of magical! The recipe is simple and delicious. Homemade hot chocolate is a real treat if you have never had it. This is definitely the recipe to try since it is so easy. In a small pot over med/low heat...heat the milk and white chocolate chips. Bring to a simmer, stirring the whole time. Do not bring to a boil. Stir until all the chocolate chips have fully melted. Remove from the heat. Stir in vanilla and 3 drops of food coloring. Serve with whipped cream and garnish with sprinkles.